The American Conservative Union voices opposition to RAWA: “We are disappointed that on this issue [Chaffetz] is taking the side of big government,” it said. The American Conservative Union ACU has dealt a blow to Representative Jason Chaffetz’ hopes of gaining a hearing on Capitol Hill for the Restoration of America’s Wire Act (RAWA). A week after Chaffetz reintroduced RAWA for the 2015 legislative session, the ACU stated its opposition to the anti-online gambling bill. RAWA wants to overturn the 2011 legal opinion by the Department of Justice, which asserted that the Wire Act only prohibits sports betting over the internet. This ruling opened the door to the state-by-state regulation of online poker and casino games and its reversal would effectively dismantle the online gaming regulation that has already occurred in Nevada, Delaware and New Jersey. While Republicans often share Chaffetz’s concerns about online gambling, it’s the states’ rights issue that many, including the ACU, find difficult to swallow. “Jason Chaffetz is a good conservative with an American Conservative Union lifetime rating of 94 percent,” said ACU Executive Director Dan Schneider, whose organization provides annual rankings for American politicians based the degree to which they agree with conservative ideals. “However,” he continued, “we are disappointed that on this issue he is taking the side of big government. It has a strong influence within the Republican Party; in 1975 it launched and orchestrated the campaign to elect Reagan, one of the first independent campaigns on behalf of a presidential candidate. RAWA was referred to the Judiciary Committee in both the House and Senate in 2014, but failed to receive a hearing. Reports suggest, however, that Sheldon Adelson is building his sphere of influence and redoubling his efforts to push the bill through. Schneider appears to nod to Adelson’s behind-the-scenes involvement when he says: “Conservatives don’t have to agree on the value of gambling, but we should agree that it is unwise to use the brute force of the federal government to try to stop states from making their own decisions on this activity, especially if the reason for this action is to support gambling entrepreneurs in Las Vegas. When are these people going to realize that if people want to gamble, they are going to find an outlet to do so. Finding these alternative options are more harmful to the general person than creating a regulated environment. Better to spend money regulating a safer option that will give you a return than spending money to prevent gambling in its entirety. 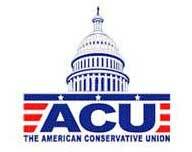 I cant believe I side with the American Conservative Union on this issue ! IMHO you’ve got the right anesrw! It is exactly what has enabled offshore gambling sites to gain tens of billions in revenue ,much of that could have easily benefited the USA or Canada,a country that has just recently delved into the online gaming market, fifteen years behind and zero market share,lol,these government imbeciles even cut off all Inter province betting and allow zero offshore players, therefore severely crippling their players and revenue $$$ base.seriously how ignorant & out of touch can these people be??? Well the USA voted for ” D .Drumph” Guess that says enough.